I love frames. That's no secret. Every now and then I come across a frame that seems incomplete to me. This metal frame had nice details, but I though it should have something on top. Sorry, I was almost finished with the redesign before I realized I didn't take a before pic. A while back, I bought a bunch of metal fleur-de-lis. I found them while digging through my boxes. 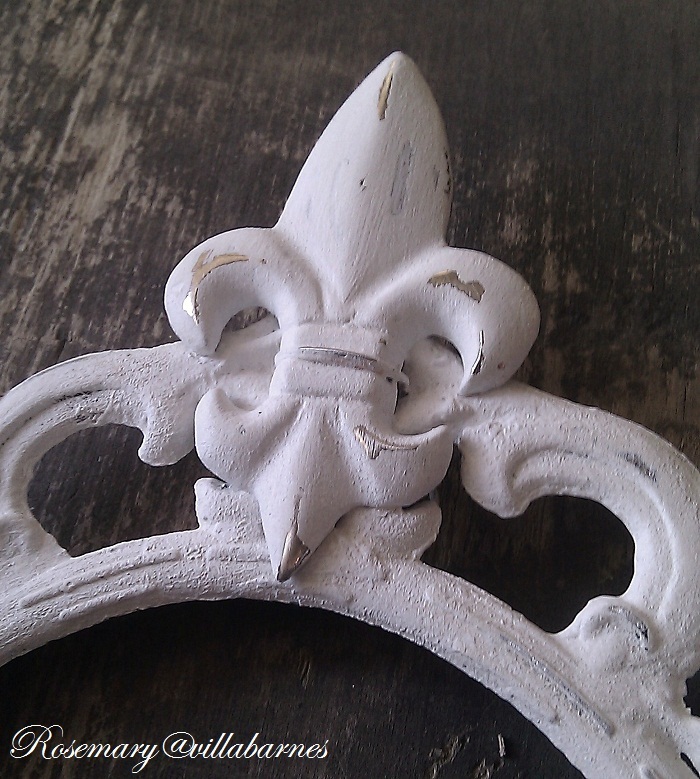 With the pointy details on the frame, the fleur-de-lis just seems to work. I gave it layers of paint (with a little plaster for texture) to unify it. Because I have a thing for imperfections, I distressed it a bit. I'm off to embellish more frames, and boxes. See ya soon. That's a frame worth framing! The fleur de lis is a perfect addition. Fantastic joy as always, Rosemary! 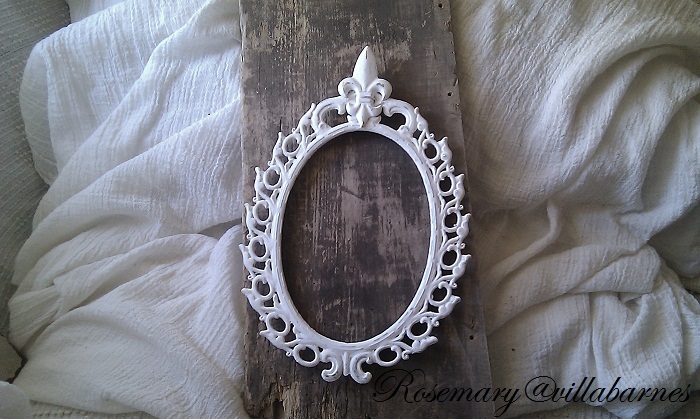 A lovely frame, and even lovelier with the fleur de lis!! You just add beauty to all you do, Rosemary!! Beautiful! 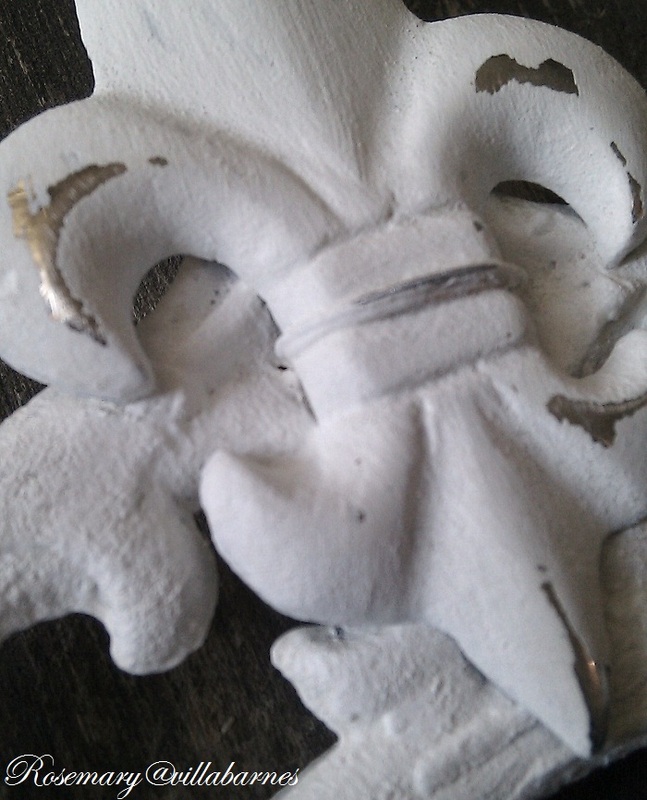 The fleur de lis is the perfect embellishment. It looks like they are a perfect match for each other, Rosemary! 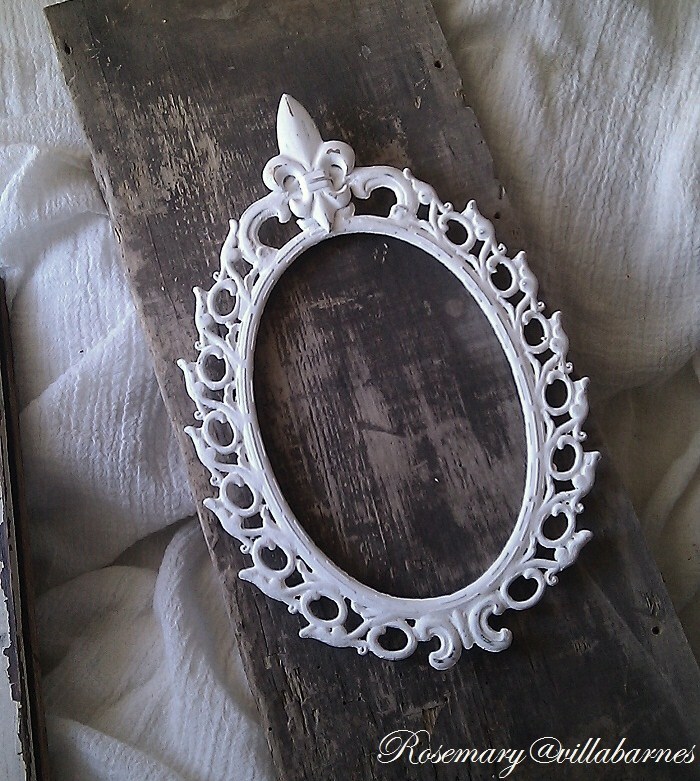 What a beautiful frame Rosemary!LOVE the texture and layers!So chic! Rosemary, your "imperfections" are perfection! Love everything you do. This is such beautiful frame.